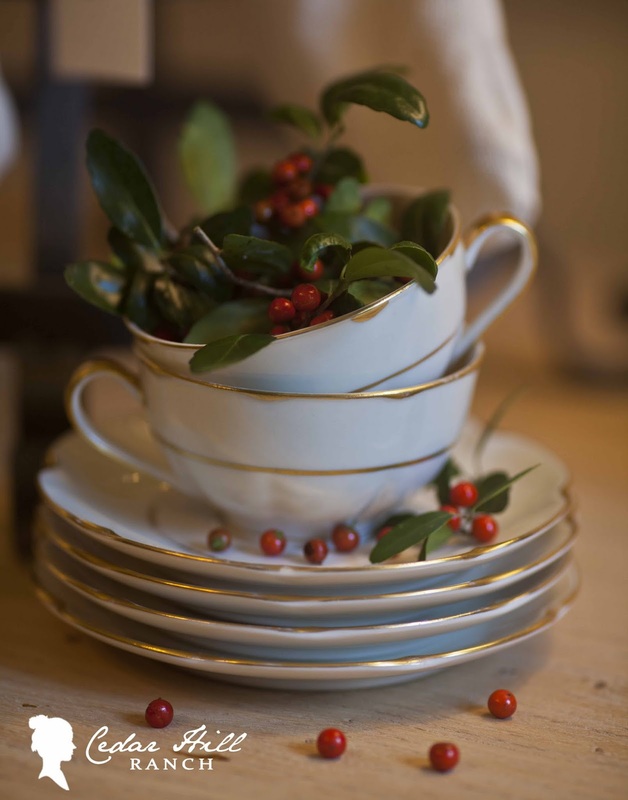 It’s the second installment of Homespun Holidays. 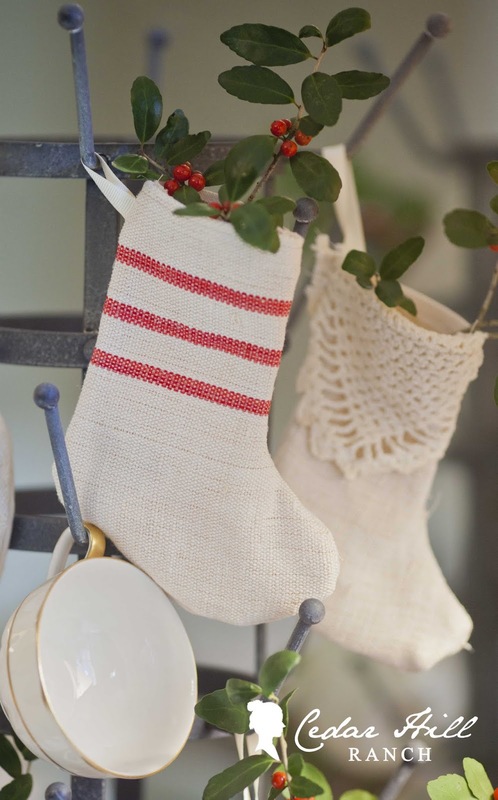 I’ve been thinking for a long time about making some little stockings (like the ones Ann On Sutton Place makes) so I thought why not make them for our party? I have made lots of things from grain sacks, so I had lots of fabric bits left over, just begging to be used. As I was planning the wee little stockings, I began to look at Ann’s stockings on Etsy. I read about her regular-sized stockings and how they are lined, and how she uses the drawstring from vintage grain sacks for the hanging loop. I began to compare my work to hers. I NOW know that is a dangerous thing. I wanted my stockings to be perfect for you, so I decided I would line my mini stockings. I also looked at the loop on Ann’s stockings and how she uses the drawstring from vintage grain sacks. Although I also used vintage grain sack fabric, they were all scraps from previous projects, and I had long ago discarded the drawstring from them. For this project, I would have to use something less exciting, like new satin ribbon. In rifling through my sewing cabinet, I discovered some leftover muslin fabric to use for the lining. I cut out all of my stocking pieces so I had a stack for the stockings, and a stack for the liners. I began to sew my first stocking. Soon it was time to add the liner, but the little bugger was so tiny that it became almost impossible to attach the lining using my machine. I soldiered on, cowgirl up, and all that, right? After man-handling the first stocking pretty roughly, I was finished with my first one. I stepped back to survey my work. It looked funny. Maybe it was the way I was looking at it, so tilted my head like Nipper the Victrola dog. (Remember him? Oh, NVM.) No, it still looked… well… weird… wonky. It wasn’t the viewing angle, it was the stocking; in a word, it looked AWFUL. It didn’t lay flat. Now I wanted to say a bad word, but I didn’t because I used to be a Sunday School teacher. One might have slipped out. Now what was I going to do, about the stockings, I mean? I knew you were coming and you would be expecting something gorgeous; you would be excited and have your party hats on (not literally of course) and you would open up my page, and your smile would disappear, with the sound of a ‘hmmmm’. In it’s place, a puzzled look would form. You would think “Oh.., that’s weird.” And then I could see hundreds of people simultaneously tilting their heads to the right when they saw my stockings, wondering if maybe a different angle would improve the view. Oh, no that would be dreadful. After I removed the bogus lining, the bunchy stocking morphed into what I had imagined. It looked well… pretty cute to me. And when I realized I couldn’t use the liners for the stockings, honestly I was relieved. I didn’t want to do all of that extra work any way. It’s not that I don’t love you, it’s just that my family wanted to eat dinner that night. I went back to the sewing machine and made the rest of my stockings, after I made dinner. When I make mistakes, which is more often than I care to admit here, I try to figure out how to make lemonade from lemons. That’s where I’m the most creative probably from years of practice. So if you get a gift from me in a muslin stocking gift bag, just forget you ever heard this story. Come back later, and I will have even more Christmas decorating, simple and natural, cause that’s how I roll. That’s what I’ve been working on, and now it’s your turn. Please link up a Christmas post. It doesn’t have to be homemade and it can be from a previous year. 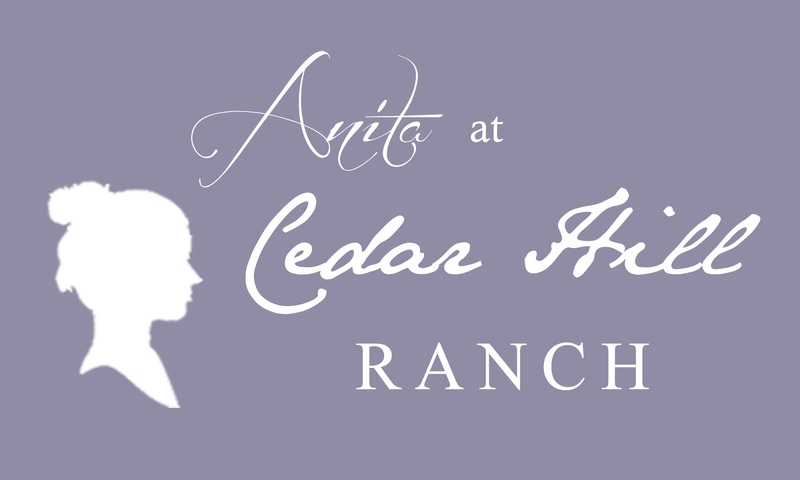 We don’t have a lot of formal rules at the ranch, so why make this hard? I just ask one thing, please link back to the ranch in your post. You can use the button below. I’m so glad you came by. The party link is set for 22 hours from now. Well, I think your little stockings are over the top cute. I wish I sewed, but then I would be afraid to cut my grain sacks. I think all bloggers who sew compare themselves to Ann (because I do too)!!! So funny! I think your stockings are adorable displayed on the drying rack! Oh Anita I am cracking up!! I adore this whole post. Your little stockings are just perfect…and you are right. I don’t line the mini ones. I just put a little facing on the top to finish them off. Your pictures are crystal clear and beautiful. Well done. I’ve loved doing this link party with you! Those stockings are perfect and I love that drying rack too. Thanks so much for hosting! Anita, you’re way too funny. I try not to overthink projects too much, it gives me a headache! LOVE your adorable little stockings, so so cute!! Your stockings are darling! I love them! And I’m sure Ann does too!! Ooooh, Anita, I love your grain sack mini stockings!!! They are so lovely!! That’s hilarious, but now I’m nervous…I have to finish a needlepoint stocking for my grendson…I decided to do it myself because I don’t want to pay $100+ to have it professionally done. I thought, well, how hard can it be to line it? Thanks for SAVING ME from that waste of time, this year it goes unlined and maybe by next year I’ll figure it out! Thanks for a fun party! I love your mini stockings and how they look on the drying rack! Thanks for hosting! 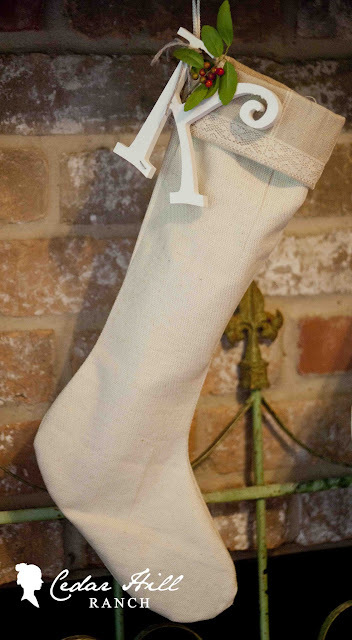 Muslin stocking gift bags are a great idea and I think your little stockings are adorable. Thanks for hosting. Anita I love these. But I have to say that your version of a clumsy craft would be my dream one. I wish I could sew these little guys, even the lumpy ones would make me proud. Too cute! Anita, there’re many things I can’t do and sewing is a the top of my list!!! but your stockings are super cute! I love them! Thanks for hosting this great party! Be Proud of your Cuties! Cute Times Ten!!! 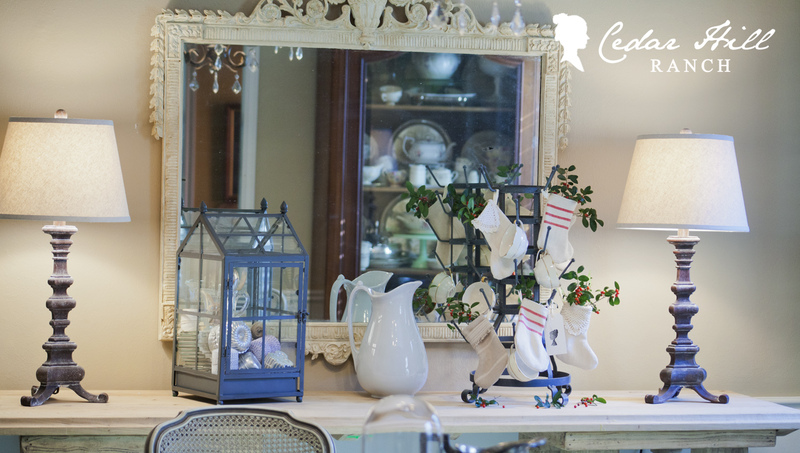 What sweet little stockings and just in time to make up a few for friends for Christmas! Loving your sweet little stockings Anita. Lining those babies would be a tough job. I am still drooling over that French rack! You are an amazing seamstress. I can’t even imagine recovering your furniture like you did. Thanks for this fun party. Anita, your little mini stockings are darling. I can think of lots of uses for these charmers. Great job! I’m having trouble linking up and I have tried it twice. Not sure what the problem is — I have linked at this type of Linky Party before. Oh, dear — they must have taken a little bit to show up — I see the posts are there – twice. Are you able to delete one of them as I cannot? Those sweet mini stockings are darling! I am happy to share my urn makeover using unwanted bowling balls. Thank you for hosting! 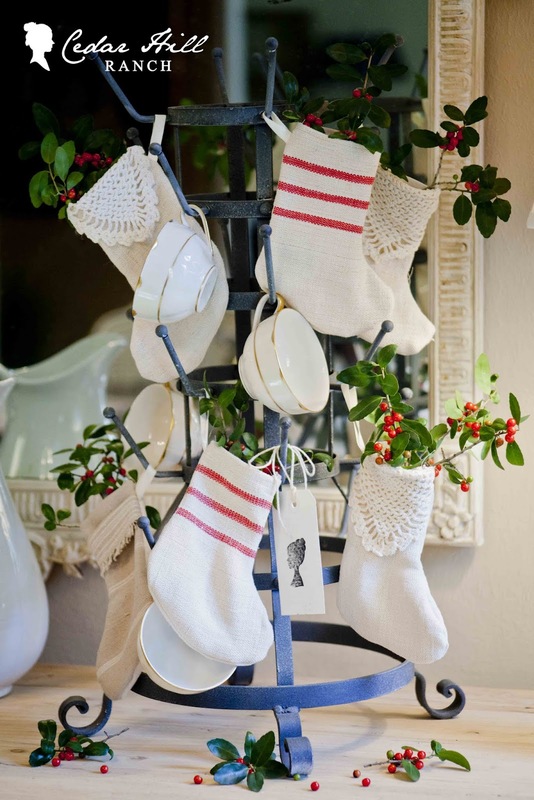 What adorable little mini~Christmas Stockings!!! 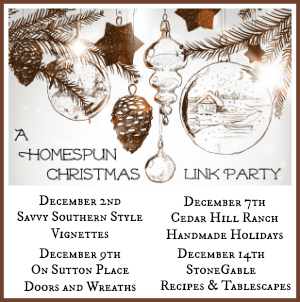 FIRST. . .Thanks for hosting this informative and crative Homespun Christmas Link Party!!! 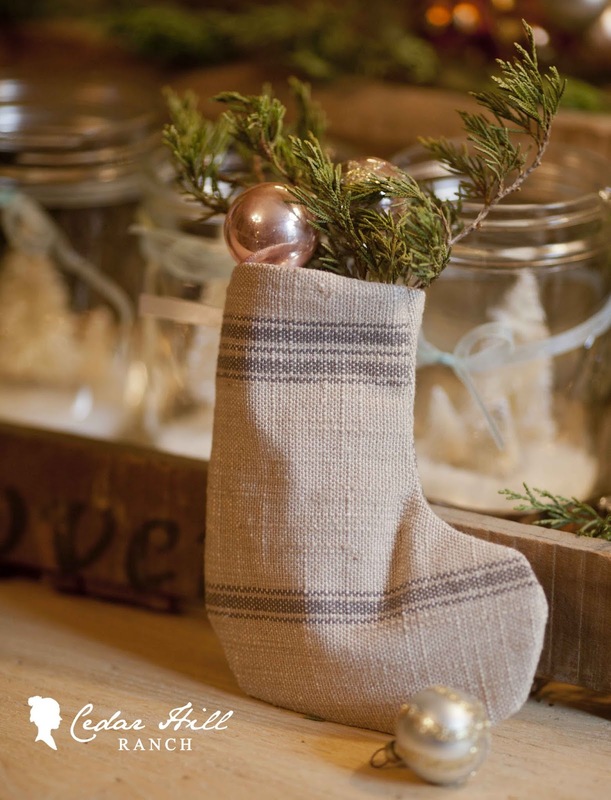 SECOND. . .Thank you for posting your entry on making Christmas Stockings!!! 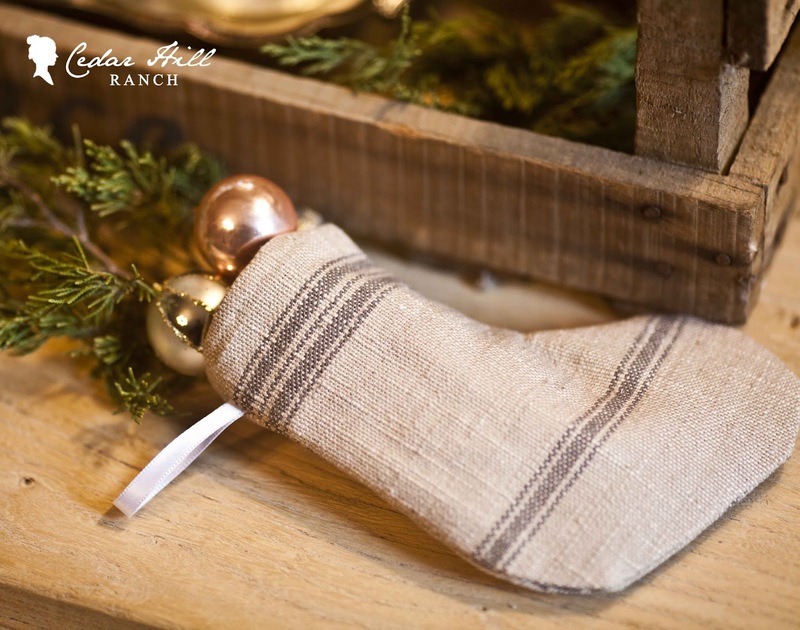 I am in the planning stage of making four handmade Christmas Stockings for our Christmas On Crooked Creek!!! Need all the HELP I can get!!! THIRD. . .Thank you for sharing with us that sometimes, things just don’tgo as planned!!! 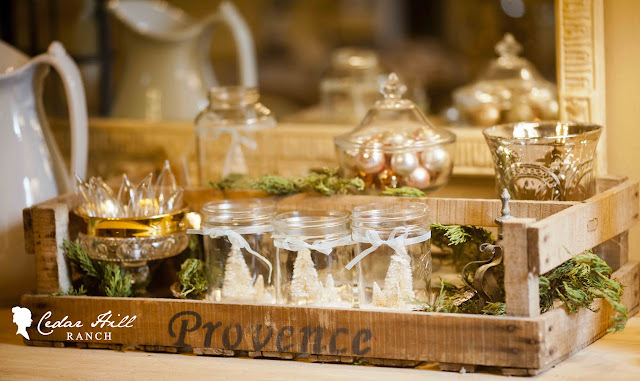 Your stockings are hung on the bottle drying rack with care – love them! Nipper would approve! 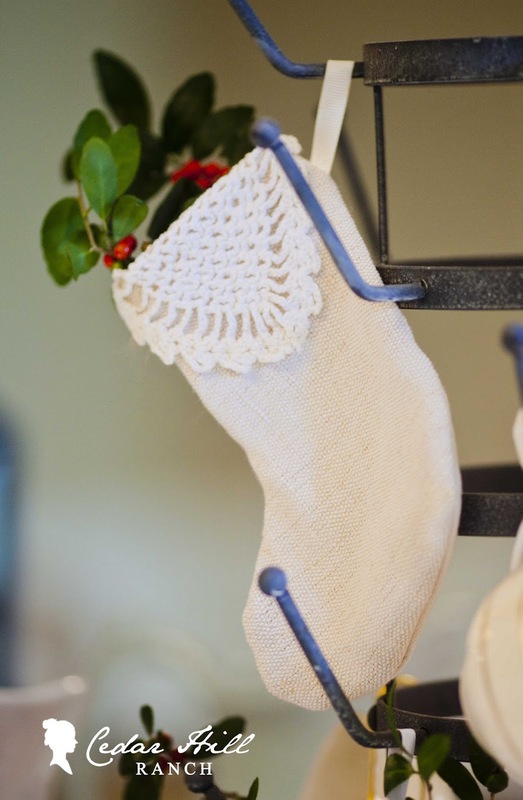 What a great idea to hang on the stockings on the drying rack…They are wonderful….and love the linen stocking! !…Thanks for hosting … love this link party!! I love your stockings, they are so pretty! You did a wonderful job. 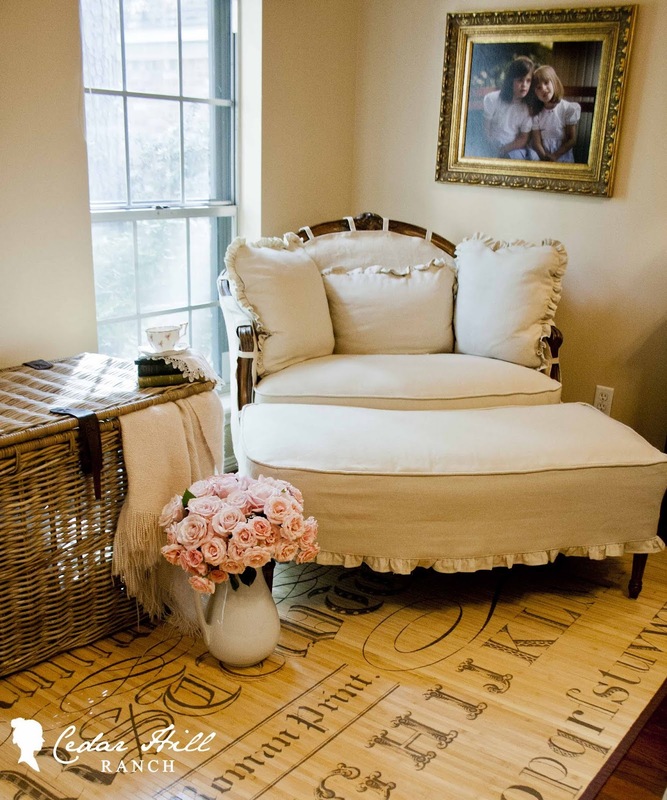 All of your photos / and rooms are gorgeous! Your stockings look great on the drying rack. Thank you for hosting. I love your little stockings! All your Christmas touches are adorable. Thanks for hosting! Those stockings are adorable! What a fun little craft project. Thanks for sharing and thanks for hosting the party. Your stockings are so pretty Anita even with that fiasco.I envy those that can sew because I cannot! Thank you so much for hosting! 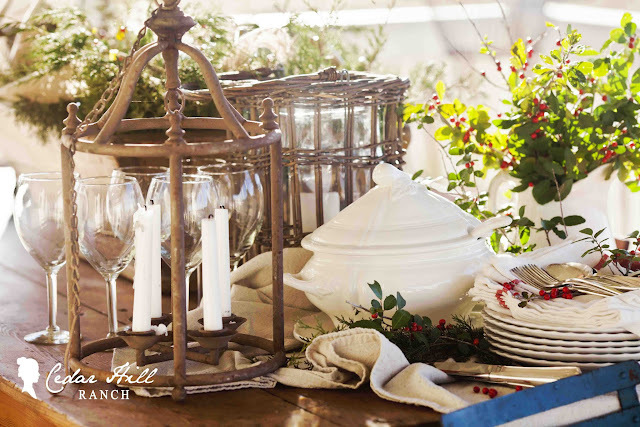 Christmas is looking wonderful at your place! Thank you for hosting! What a darling little group of Christmas stocking! I somehow feel so much better about my sewing exploits (sorry) after reading your post! Something always seems to go astray!!!! Your stocking and the way you displayed them… and everything else you have done is so so beautiful!!!! Thanks for sharing and being such a darling hostess! I love your stockings! You had me at wonky! 🙂 They turned out so cute and how you displayed them is just fabulous! Thanks for hosting the party! I joined up, too. I’ll be back for more visits when I get home today. Merry Christmas from California to Texas! These little stockings are so lovable and sweet. Thanks so much for hosting. I just discovered your wonderful blog through StoneGable! I love your little stockings, Anita. They are really cute! Thank you so much for hosting the party today, and I hope you have a wonderful weekend. I like how you roll…”simple and natural”…me too! I think your little stockings are adorable! Thanks for hosting and sharing. Thank you for hosting this inspiring party! I have linked up a few. Have a wonderful week! Your little stockings are just beautiful, Anita! Such gorgeous photos. Thank you for hosting! The stockings are so cute. Thanks for hosting. I think your tiny stockings are gorgeous! They are so much better than what I could make! I would have to glue them! 🙂 You know me and sewing! I love them on the French drying rack! Your Christmas looks wonderful! Love, love your little stockings!!! Thank you for hosting this fabulous party! Hi Anita, found your party and decided to join in and follow on GFC. Nice to meet you!